Found this last image from the Northridge quake of '94. Was looking for quake damage photos in Hollywood and came across a giant mural, Legends of Hollywood, that slid off the wall and on to the sidewalk. 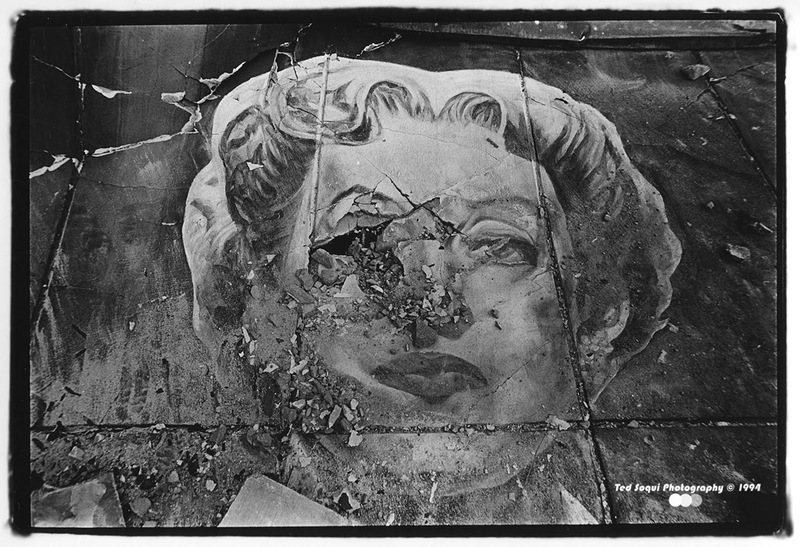 The face of Hollywood star Bette Davis was almost intact, it was missing an eye due to a homeless youth trying to remove it from the plaster. He told me he wanted "Bette Davis Eyes." The youth removed the eye and quickly dropped it. He started to remove the other eye, but I made him stop so I could take the image of her face.